Creative Director Of American 'Vogue,' Grace Coddington, Steps Down : The Two-Way The 74-year-old stylist will scale back her role, becoming creative director at-large. She entered the fashion industry as a model at 17, then found an influential niche at the magazine. 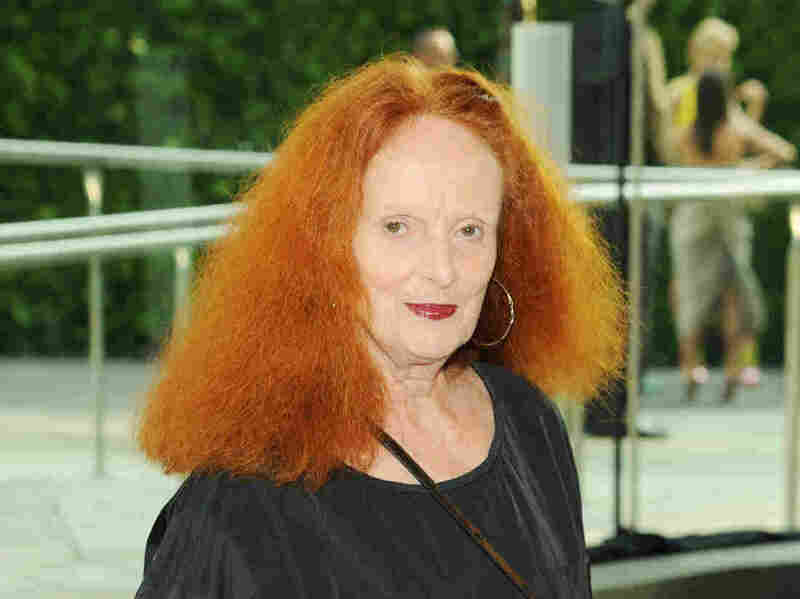 After more than 25 years at American Vogue, stylist Grace Coddington is scaling back her role at the magazine and will be pursuing outside projects. Grace Coddington, the longtime creative director at American Vogue, will be shifting to a new role at the magazine — creative director at-large — as she pursues outside projects. The 74-year-old stylist began her career in fashion as a model and was hired by Vogue editor Anna Wintour in 1988 as fashion director. Now, after more than 25 years at the magazine, she will be scaling back her role, a spokesperson for Vogue confirmed to the website Business of Fashion. NPR's Jacki Lyden reports Coddington's role change has been a long time in the making. "She had been saying for years she'd step down as creative director at Vogue. Now, it's come to pass," Lyden reports, calling Coddington a recognizable face even to people outside the fashion world. "Coddington was as familiar in the front rows of fashion shows as the woman she usually sat beside: editor-in-chief Anna Wintour." Coddington — who, like Wintour, is from the U.K. — helped shape Americans' perception of how fashion is presented, but her personal style was always distinct. "Coddington was the approachable funky grandmother to Wintour's steely uber-editrix," Lyden says. "With her halo of flaming, untamed hair, her mobile features and her comfortable clothing, the former model (she was photographed by Snowdon in 1959) is a real human being in a sea of expressionless, immaculate drones. Candid, congenial and wryly comic, Coddington is completely secure in a talent that makes ugly clothes beautiful and idiotic clothes accessible. And because she sees no need to defend her career choice or deny the ridiculousness of the industry she serves, we warm to her: She's as essential to the film as her artistry is to the magazine." For her part, Coddington shows no signs of slowing down. Business of Fashion reports that she says she is excited to pursue other projects, including a fragrance with Comme des Garçons. "I'm not running away from Vogue, because it has opened so many doors. But it will be nice to collaborate, and nice to go out [and] give talks to people. It's just another approach," she told the website. "I'm certainly not going into retirement. I don't want to sit around."